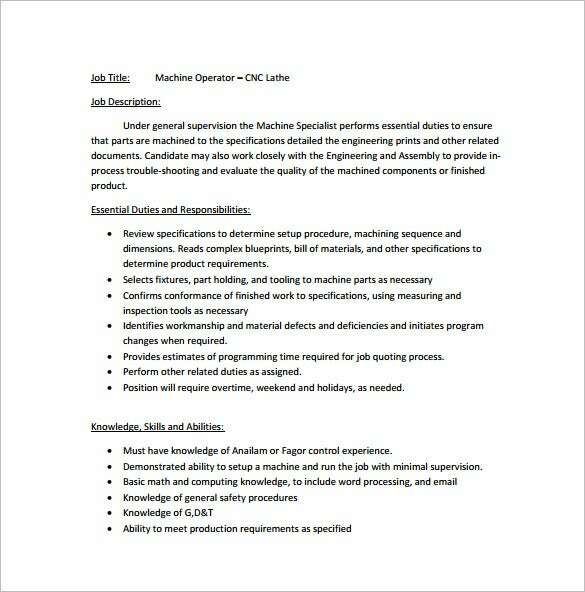 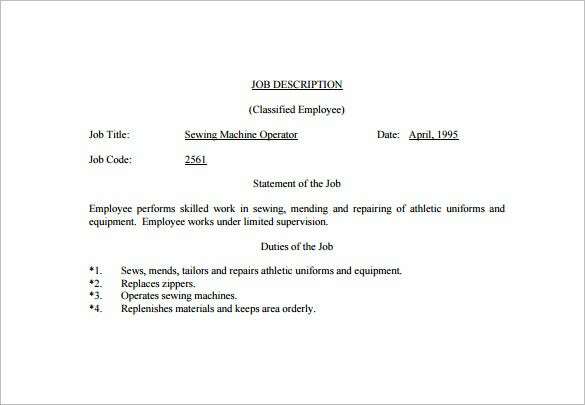 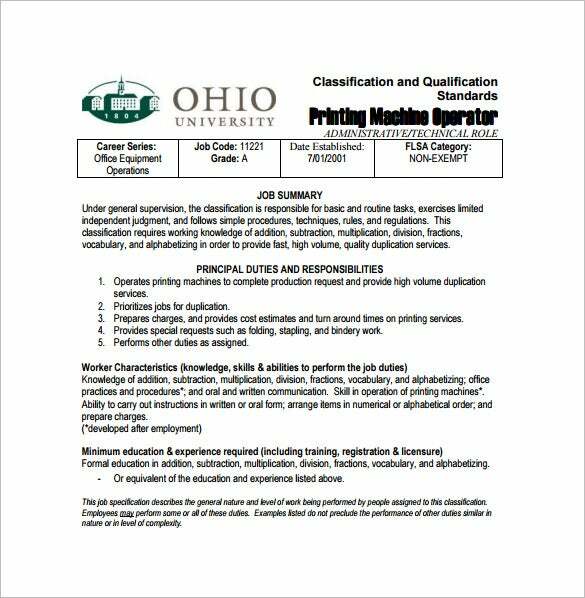 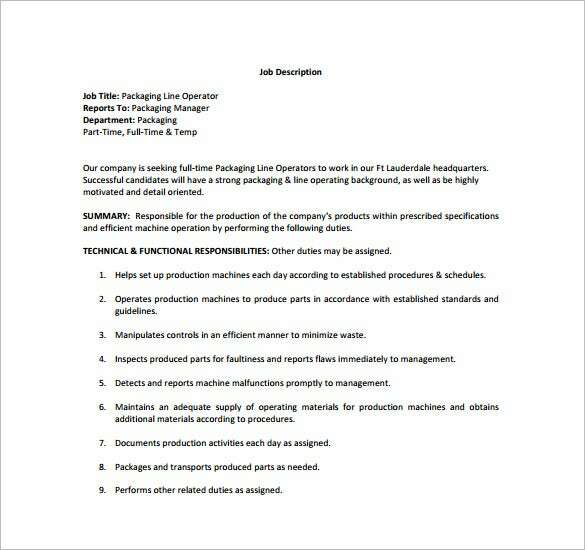 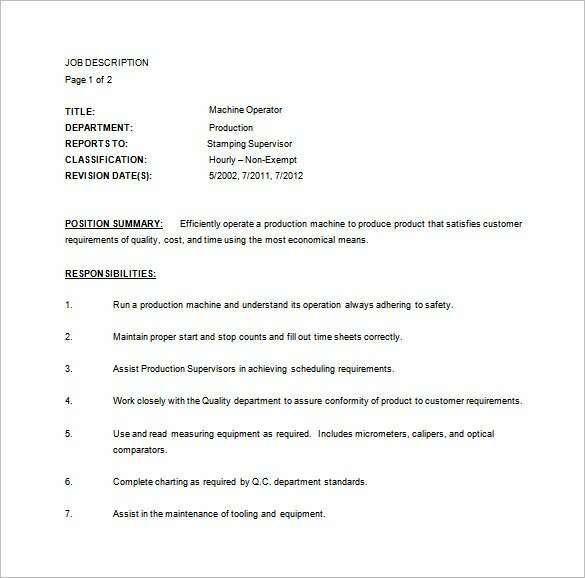 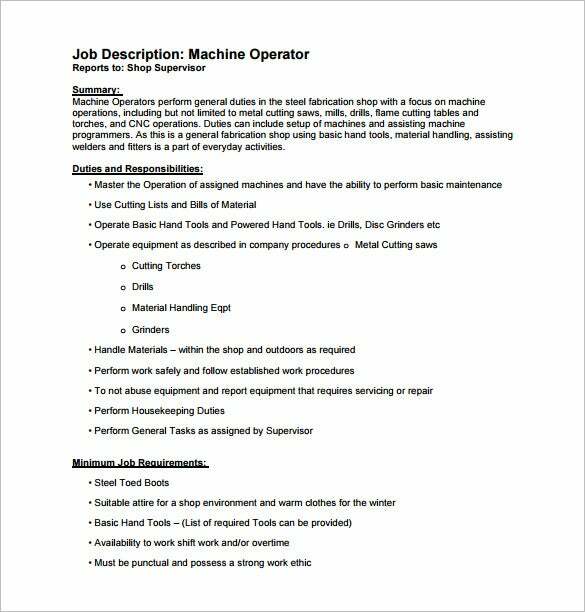 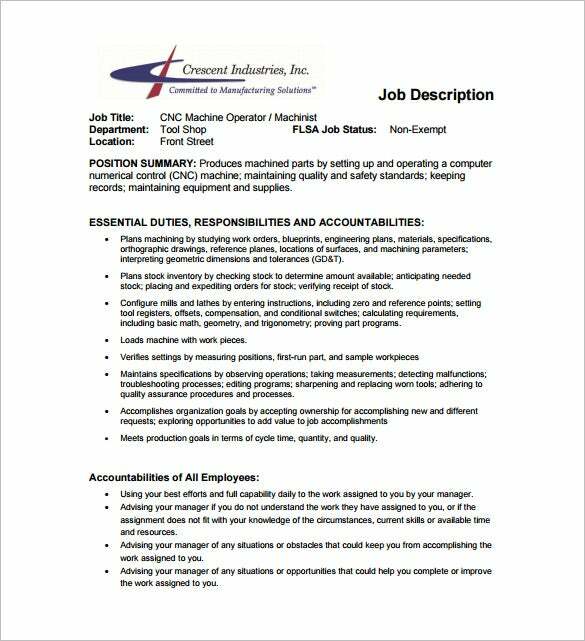 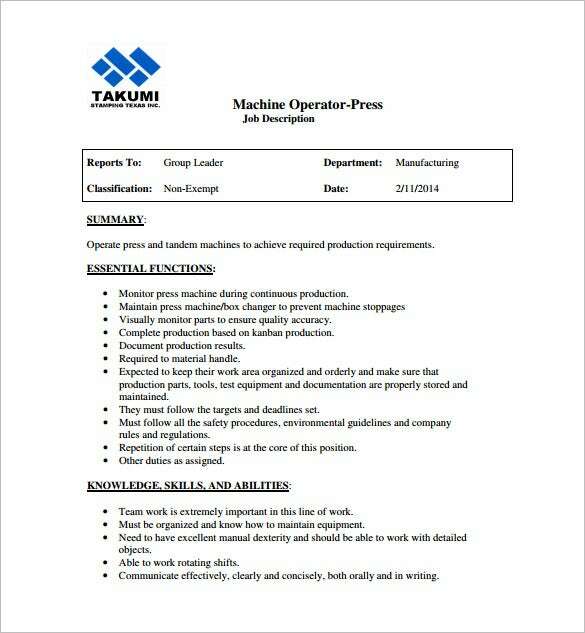 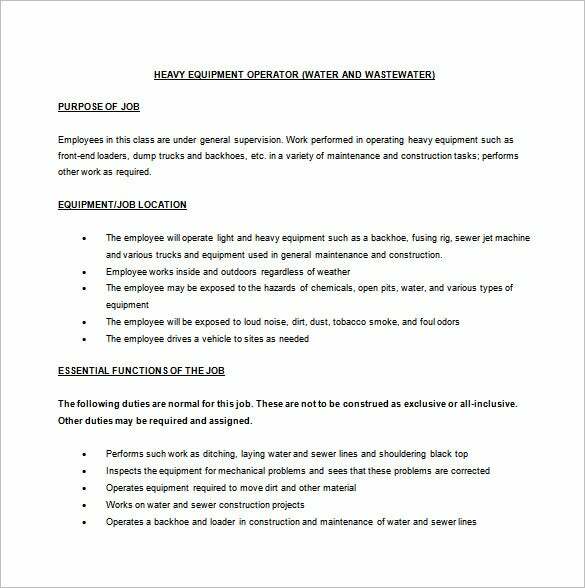 Machine Operator Job Description Template – 9+ Free Word, PDF Format Download! 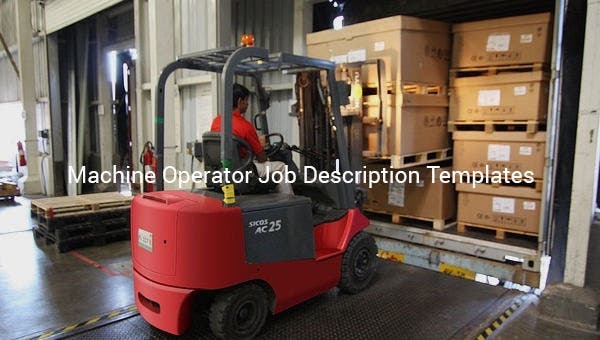 The operator has the obligation to specify the specific raw materials that fit the machine during its production and ensure that there is a good mixture of the materials to meet the required output. 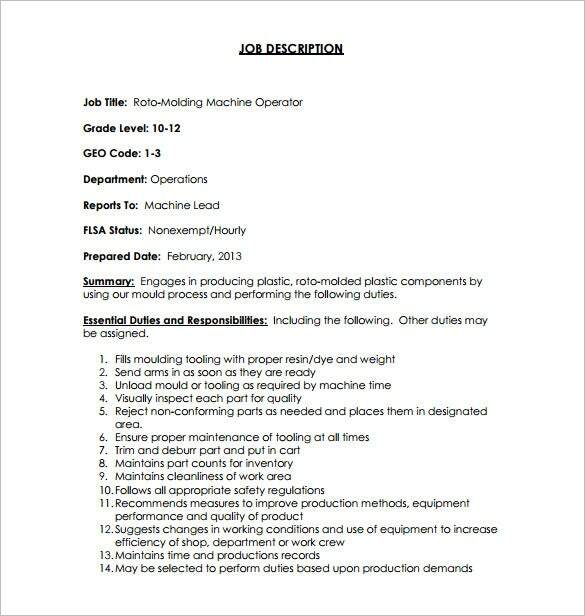 He/she also aligns the machines to meet the work products targets in Job Description Templates.